If you have any amount of test or development infrastructure, a rogue DHCP server has surely shown up. While I’ve been lucky to never have it show up on a production segment, I’ve seen many a network administrator track one down and shut down a port to try to find the offending virtual machine. As it turns out, virtual machines can be hard to find as they have different MAC address formats and may move around to different segments if on a laptop or host with migration technology enabled. Insert SCCM installation CD/DVD or mount ISO image. If you are familiar with SCCM 2007, you can read the following post to assist you with your planning. System Center Configuration Manager (SCCM) 2007 offers a Remote Control feature as part of its remote tools application. A desktop administrator can have the SCCM console installed on her computer and from there remote control a computer to troubleshoot problems. I've found information regarding the Remote Control feature scattered on different places and some details can't be found or don't exist. Here I attempt to provide as much centralized information as possible, with the help of links, as well as information that may not be documented. 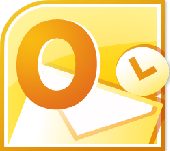 0 Cannot remove additional mailbox in Outlook. When you have added an additional mailbox for yourself or for another user, there is a problem with removal. After removal you still can see a "GHOST" mailbox, which is non-removable. 0 Block Dropbox with GPO. 0 Enable IP address conflict detection in DHCP.